This limited edition premium gift set for 2018 features a 7.5" oval snap sterling silver bracelet, 7 exclusive charms and 2 safety locks to keep them secure. 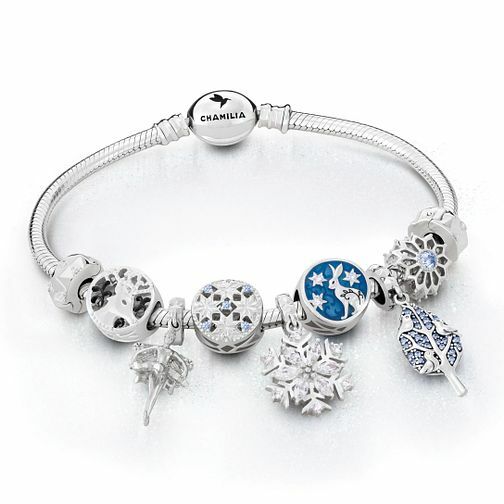 The exclusive charms feature fun festive designs, with blue shimmering zirconia crystals set to sparkle. Beautifully presented within a luxurious custom box, with a numbered and signed card also included, making this a wonderful set ready for gifting to a loved oned.